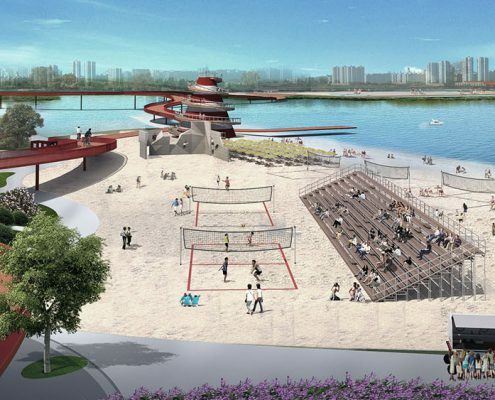 The Yixing Landscape planning masterplan includes a program around the entire Dongjiu lake and an easy pedestrian/bicycle connection to the West side of the city, trough an activity lane. 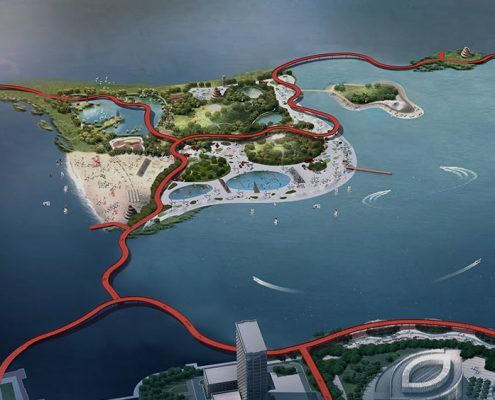 This lane is meant to higlight and connect the existing interest points of the city, such as commercial, culture, tourism and leisure, and bring new important features to Yixing, such as theme parks, sports areas, recreational activities and health topics. 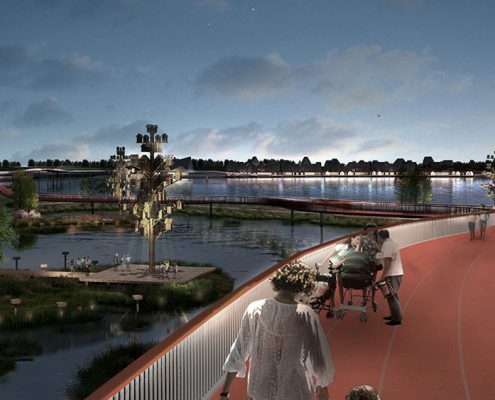 The main idea is to create more intimate spaces and develop a human scaled city for people. Through a cooperation between chinese and danish entities, we manage to find the best vision to develop Yixing towards an enjoyable, healthy and livable city in China. A new strong bicycle culture and extensive pedestrianised zone – an urban model that many cities around the world are now desperately trying to claw back. 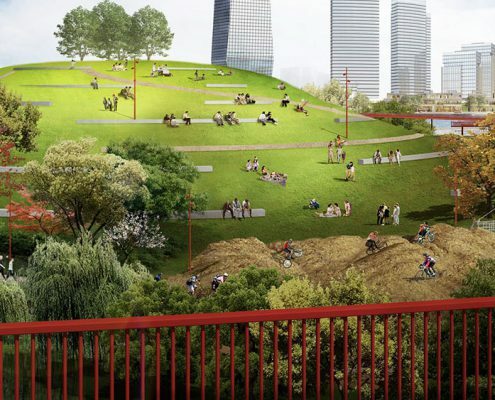 By integrating bikes as a natural alternative to private cars there are a lot of things to benefit of, both when it comes to economy, health, environment and another aspect is recreation. First of all people need the access to be able to bike and it needs to be safe. Also good connections are needed for it to be an easy alternative to the car.